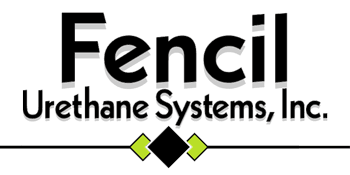 Fencil Urethane Systems has been insulating commercial buildings since 1980. Our goal is to make your building perform the best way possible. We have experience in many different fields giving us the knowledge to inform our clients on how to properly insulate their building. We have experience in insulating vegetable warehouse storage, office buildings, hospitals, surgery centers, warehouses, coolers/freezers, tanks, pipelines, SPF roof systems, water parks and more. An SPF (sprayed polyurethane foam) roof system is a great choice when needing to replace your commercial roof. An SPF roof system consists of a contractor spraying closed cell polyurethane foam insulation to the roof and coating it with an acrylic coating. Building owners choose SPF roof systems because of a variety of reasons: added insulation value, waterproof/leak prevention, light weight but strong, weather resistant, strong adhesion, adheres to uneven surfaces, and is resistant to wind uplift. Closed-cell polyurethane foam insulation is the best insulation in the market today. This is because it provides a seamless layer of insulation and can reach the hard to insulate areas. Closed cell polyurethane foam insulation is considered an air barrier at one inch and a vapor barrier at two inches. Closed cell polyurethane foam insulation gives you an average aged R-value of an R-6.5 per inch of foam. The NAHB did a study and found that the closed cell polyurethane foam insulation increases the strength of a building by better than 3 times and it is the only insulation. It is the only insulation that FEMA approves. Closed cell polyurethane foam insulation is great for cathedral ceilings. It is the only insulation that does not need ventilation to make the insulation work and it addresses all the problems that are normally associated when trying to use fiberglass or cellulose insulation. The Blow-In-Blanket System (BIBS) works with any type of construction. With BIBS, loose-fill fiberglass insulation is blown behind netting and therefore fills all the irregular gaps and voids. The BIBS r-value will change depending on the size of your stud wall cavity. A 2x4 stud wall cavity will be an R-15, 2x6 stud wall cavity will be an R-23. BIBS do a great job on sound control. For more information on BIBS go to www.bibca.org. We install blown fiberglass and blown cellulose insulation in the attic area. This can be used on both new and existing construction and is a great way to add to the attic insulation values. Since the joist depth is not a concern, the attic area may be filled to meet the desired R-Value. Due to the insulation properties and it's cost effectiveness, blown insulation is a good choice for attic insulation. The building code mandates that all polyurethane foam must be covered by a thermal barrier. In many situations, drywall is the thermal barrier. When drywall is not an option we can apply a product to the spray foam that would act as a thermal barrier.